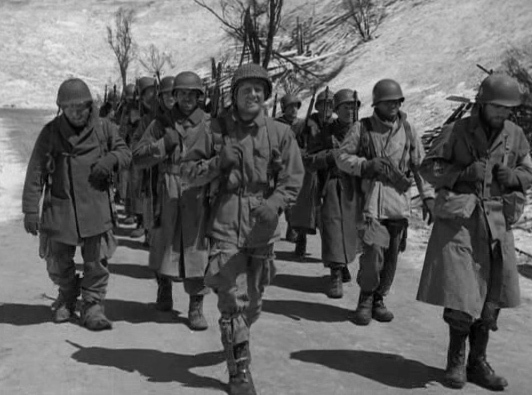 This entry was posted in Films, Reviews and tagged Bastogne, Battle of the Bulge, Battleground, birthday, classic film, John Hodiak, Van Johnson, Wild Bill Wellman, William Wellman by Jnpickens. Bookmark the permalink. I love this movie too. Especially Johnson with the eggs in the helmet. 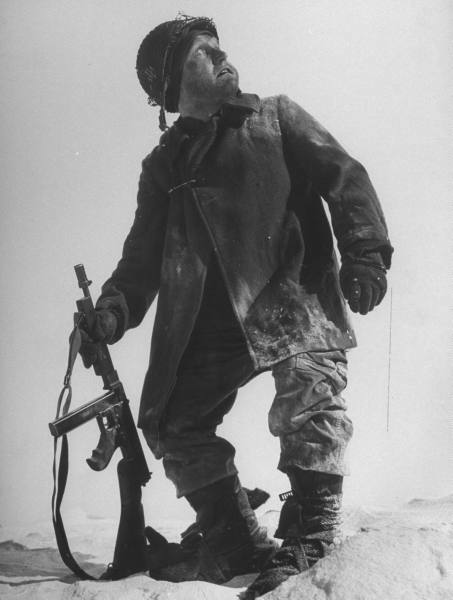 The scene where John Hodiak sees the boots always gets me too. Oh and James Whitmore! Bless his furry eyebrows! Yess John Hodiak’s face when he sees the boots…..that part is just so sad and heartbreaking-I feel like that one facial expression shows how good an actor he was. 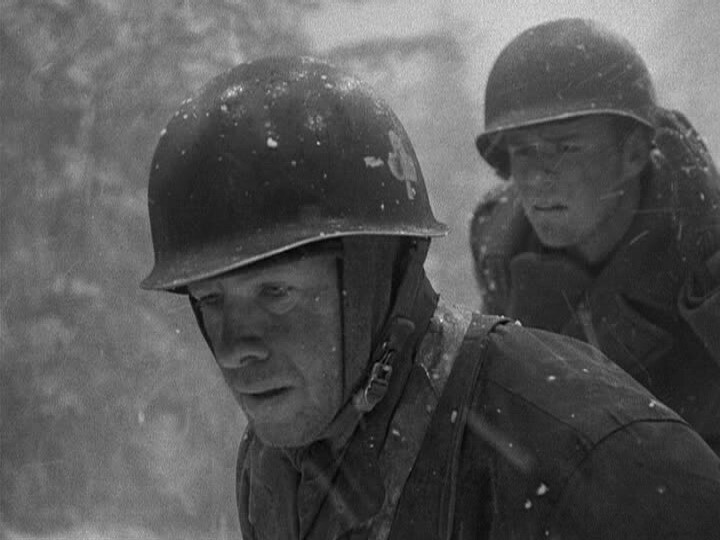 I looove James Whitmore in that movie too! This sounds like a really great film. What a cast of actors, too! I can really relate with what you said about the ’40s. There seemed to be a unity that we haven’t seen since. It was a great film. That’s for sure, that’s for dang sure. Great post! This is a film I haven’t had the chance to catch yet but you definitely make me want to! Thanks for taking the time and joining in the blogathon! 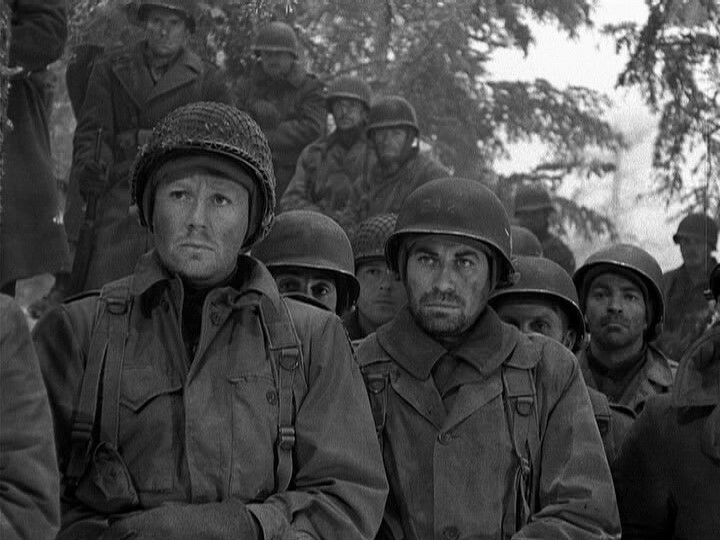 My feet start to ache just thinking about James Whitmore in “Battleground”! Your wonderful review looked at so many reasons that this is the number one WW2 movie in so many hearts. If that ending doesn’t make your eyes tear up then you have no soul.